Vivah Puja provided by Puja Yagya also includes matrimonial services. In Hindu traditions, Vivah is considered as the holiest inclusion of two individuals for seven life times and we help you in getting your most compatible soul mate, thorough our matrimonial services. We include great data base of all Hindu community in USA and with us, you will find your soul mate with whom you would like to live rest of your life blissfully. 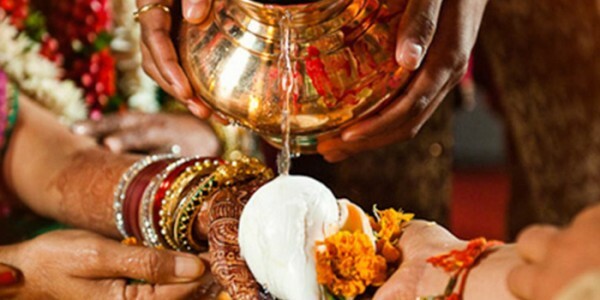 We conduct Vedic Vivah Puja Puja with complete accuracy that channelize blessing of all the gods and goddesses who make your wedding life happy, successful and prosperous. If you wish to take suggestions of our Pundits or want to clear any doubt then you may call us freely as our telephonic consultation services are free of any cost. We let you enjoy your wedding rituals in the most blissful manner with absolute Vedic accuracy.